CIDES | Lights off, spots on! Design brand-new collections of spots that fit perfectly within the demanding interior designs of shops, hotels, galleries and restaurants. Bioniq, Centriq, Mechaniq, Magiq: four refinedand technically sophisticated designs. BIOINIQ is pure technical ingenuity! The passive cooling attachment improves the air circulation thanks to its specially developed cooling fins. Through this method, optimal conditions are created for the latest generation of LEDs. The 'ONE-LOCK' system remains in the desired position with a single screw. The minimalist design of the rail spot, CENTRIQ, provides optimal lighting in combination with a subtle shape. The sleek design creates a wide range of applications. The spots are equipped with the Exact Positioning System (EPS). 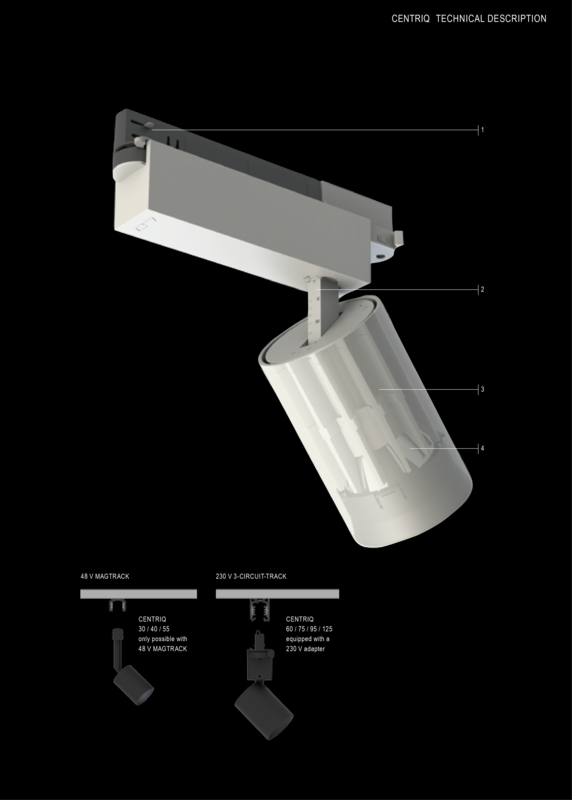 This system has been specifically designed to position the lamps very accurately. MECHANIQ is well suited for the professional lighting market. This flexible member of the premium quality spots family can simply create the perfect lighting experience in every store. The MECHANIQ spots are suitable for fast-changing merchandising with various retail concepts. One single system was developed that offers countless possibilities. 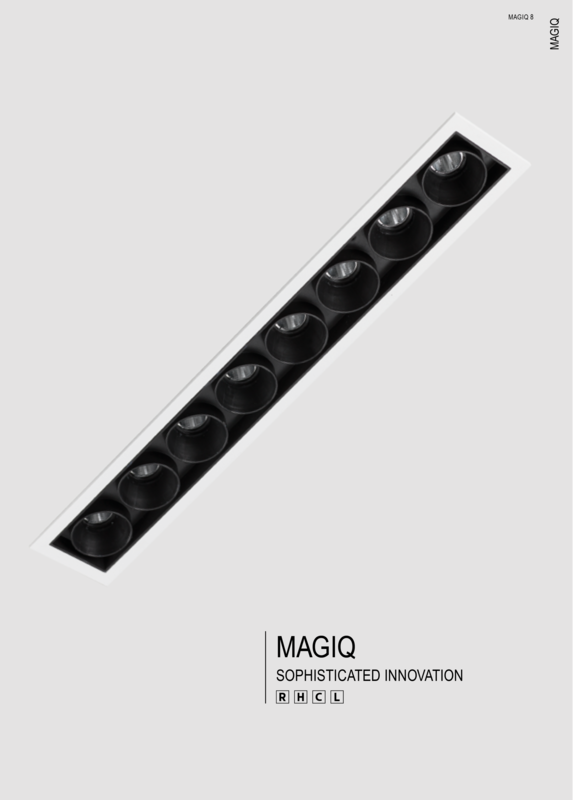 MAGIQ is a sophisticated spotlight that optimally highlights the architecture and the interior of a building. 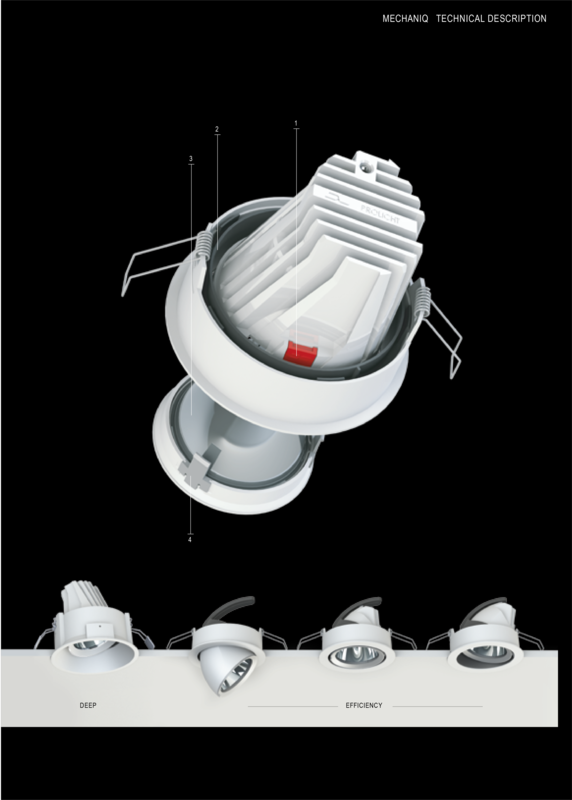 State-of-the-art technology is combined with the high requirements of extraordinary lighting concepts. 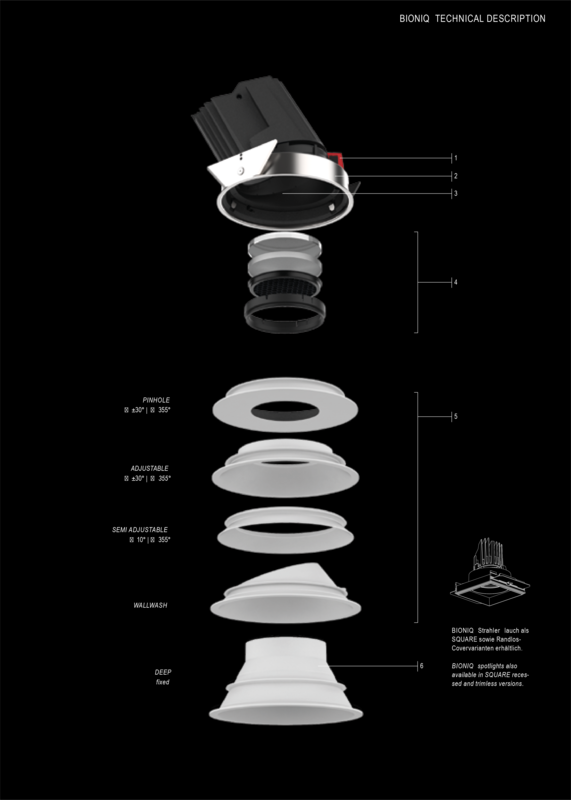 MAGIQ is available in a module with four or eight spots, which can be mounted rimless or fully incorporated.